The Swartkops River estuary is home to a big variety of waders but the one bird that you will always see and recognise are flamingo's. 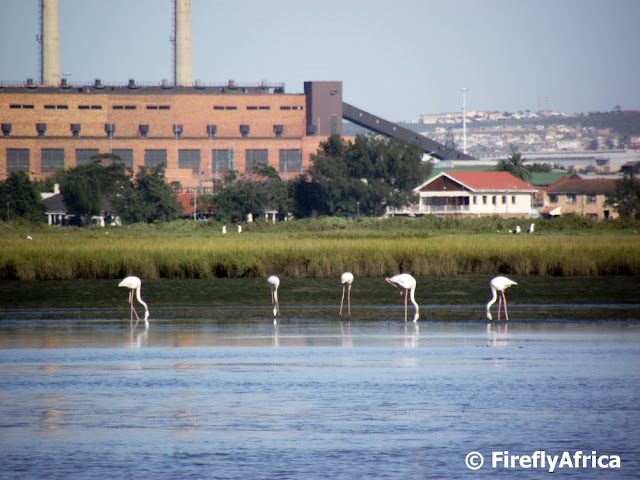 Here are a couple of flamingo's on a sand bank with the Swartkops Power Station in the background. In 16 December 1817 the Dutch troop carrier Amsterdam was on its way to the Netherlands on a return journey from the Dutch East Indies when it hit a fierce storm off Algoa Bay. The wind snapped the masts and ripped the sails apart and after an eleven hour fight the captain decided to run the ship aground close to the mouth of the Zwartkops River to try and save the lives of his crew. Only three of the 223 men aboard were lost with the surviving crew being taken to Uitenhage before sailing back to the Netherlands a month later. 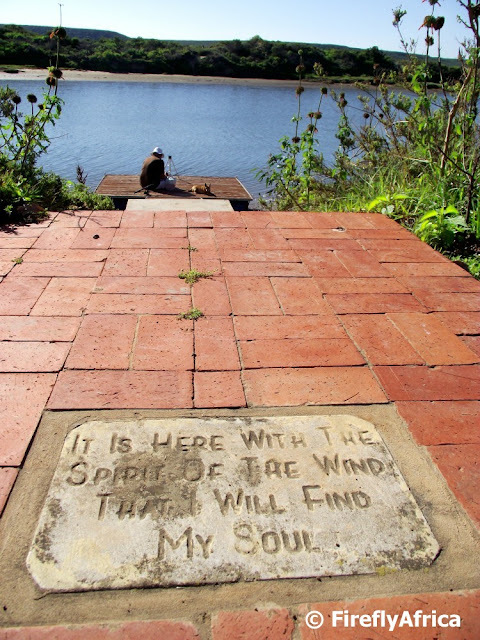 Today the village on the banks of the Swartkops River is known as Amsterdamhoek and even though its nothing more than a suburb of Port Elizabeth it does have a nice little piece of history attached to the name. 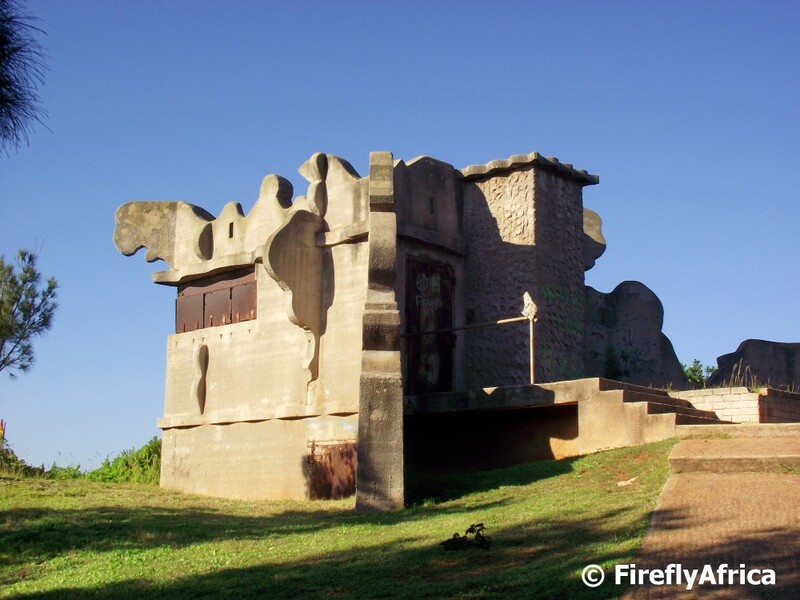 I wonder if anybody in Port Elizabeth knows when the first Art in the Park took place? Art in the Park has been happening in St Georges Park on the last Sunday of the month for just about forever. 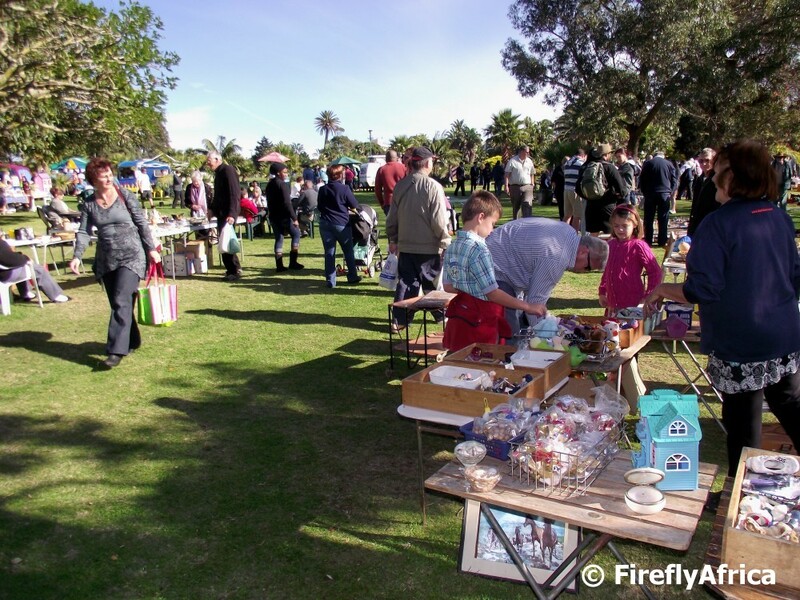 Started about 33 years ago the market was initially for hand made good only but after a decline in numbers several years ago they started allowing bric and brac stalls as well. Although its nowhere as big as it used to be, the market has become a popular Sunday morning outing again and I really hope the number of exhibitors will increase because of this. Exactly one hundred years ago, on 28 July 1913, Port Elizabeth was declared a city. It doesn't mean that Port Elizabeth is 100 years old, because its not. Its much older than that. The first settlement in Port Elizabeth started to develop around Fort Frederick after its completion in 1799 and it was officially named by Sir Rufane Donkin after his wife Lady Elizabeth in 1820 when he came to Algoa Bay to oversee the landing of the British Settlers. A couple of events have been planned for the city to celebrate the city centenary and the South African Post Office is bringing out a beautiful set of commemorative stamps to mark the occasion. I tried to do some research to find out what the significant reasoning was to warrant the occasion of declaring Port Elizabeth a city in 1913. There isn't a lot of info available but according to historian Margaret Harradine it would have been done by an official proclamation because of the size of Port Elizabeth at the time and the fact that it could carry the right to be called a city was quite prestigious back then. Happy city anniversary Port Elizabeth!!! 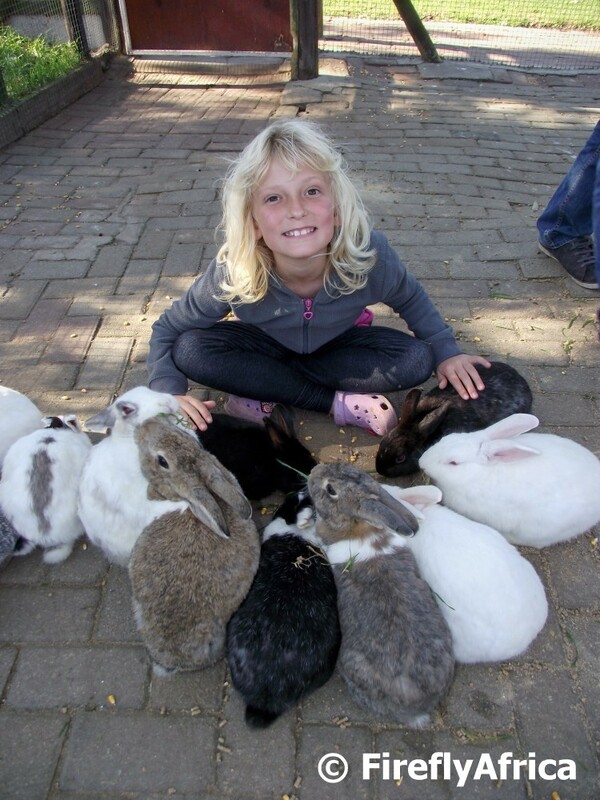 Drama Princess being a real bunny hugger, literally, at Holmeleigh Farm on a recent promotional visit with Nelson Mandela Bay Tourism and Bay FM. She absolutely adore animals, doesn't matter if it's her dogs at home, farm animals like these, the donkeys at the East Cape Horse Care Centre or wild animals on game drives at game reserves. 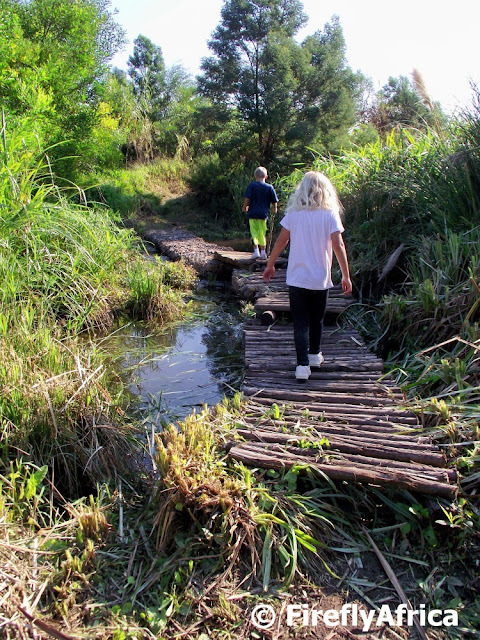 A think a lot of city kids would have benefited from growing up on a farm, being able to play outside all the time, help with the animals, ride on the tractor or the back of the bakkie and eat a lot more health rather than sit inside, watch television, play Playstation and eat junk food. Ok, so its not that bad, but I for one think that my KidZ, and in particular Drama Princess, would have thrived on a farm. Holmeleigh Farmyard is a touch farm, play area and party venue with a coffee shop out on Kragga Kamma Road and is very much an institution here in Port Elizabeth. 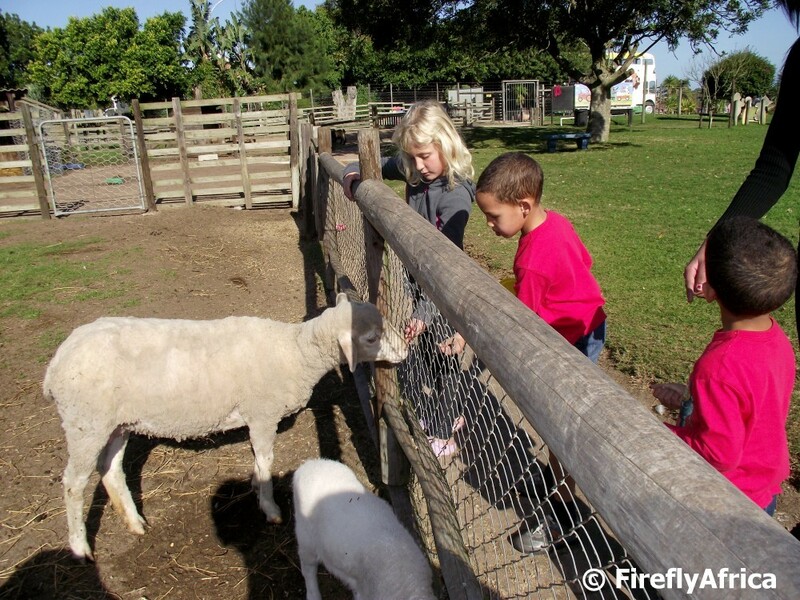 Kids love it as they get a container with food and can feed the farm animals which includes everything from sheep and goats to donkeys, chickens and even ostriches. 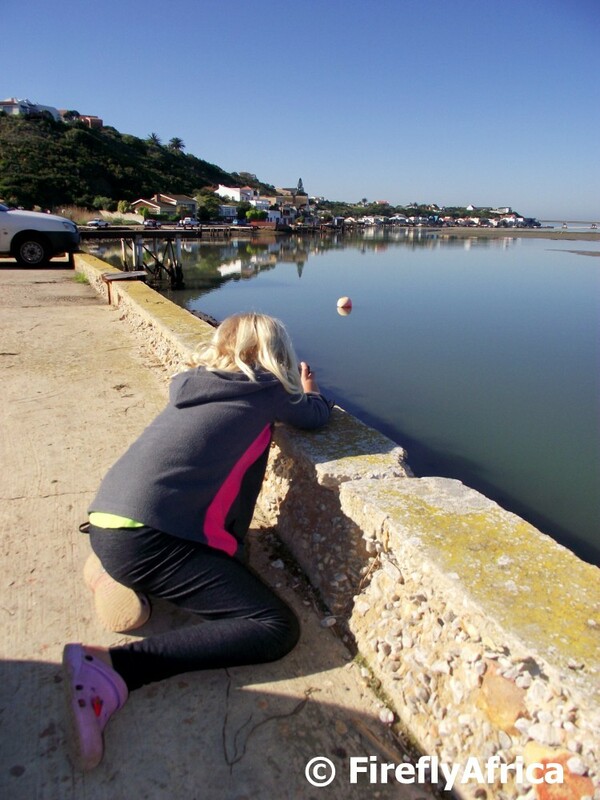 When we are out and about I much rather prefer to take pictures of my KidZ doing things naturally than let them pose. 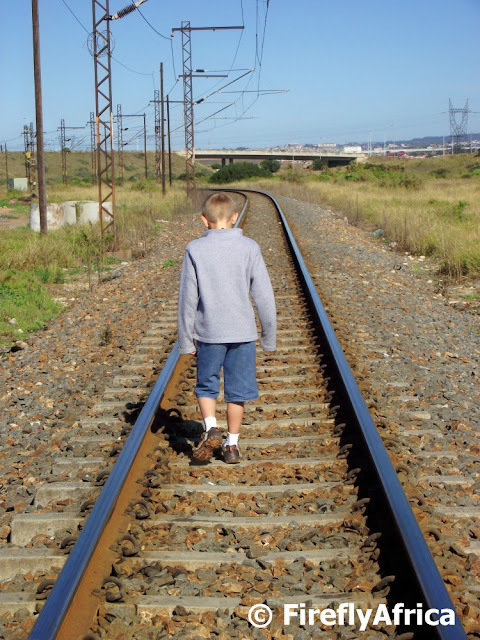 After posting yesterday's picture of Chaos Boy walking on the railway line I found another picture, this time of the KidZ during a recent walk on the Lower Guinea Fowl Trail. I wish my folks could afford to take us to travel and explore as much when I was small. Unfortunately that wasn't the case and I only really discovered travelling after school. With the KidZ I want to install that passion for the outdoors and travel right from the start. 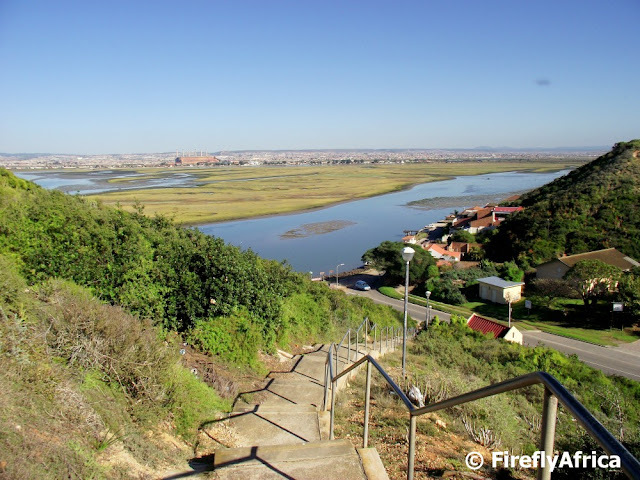 On a Geocaching trip around the Bluewater Bay and Redhouse area the other day we went looking for a cache next to the railway bridge across the Swartkops River. On the way back to the car I thought Chaos Boy walking on the railway track would make for a cool picture which it did. The Bayworld complex is currently undergoing some exciting renovations in the Snake Park and old Oceanarium which will open to the public in September. Another addition to the complex will be a brand new craft shop and coffee bar opening in August. The Lizard Coffee Bar will be just that, a coffee bar serving coffee and other hot drinks. I was at the launch of the Mandela Bay Museums Forum in the craft shop on Friday and especially liked the sitting area for the coffee bar. Going to be a great spot to chill with a coffee. In summer people head to the beach on nice sunny days, but during winter when the water is called the best you can do at the beach is go for a walk. So what is the alternative? 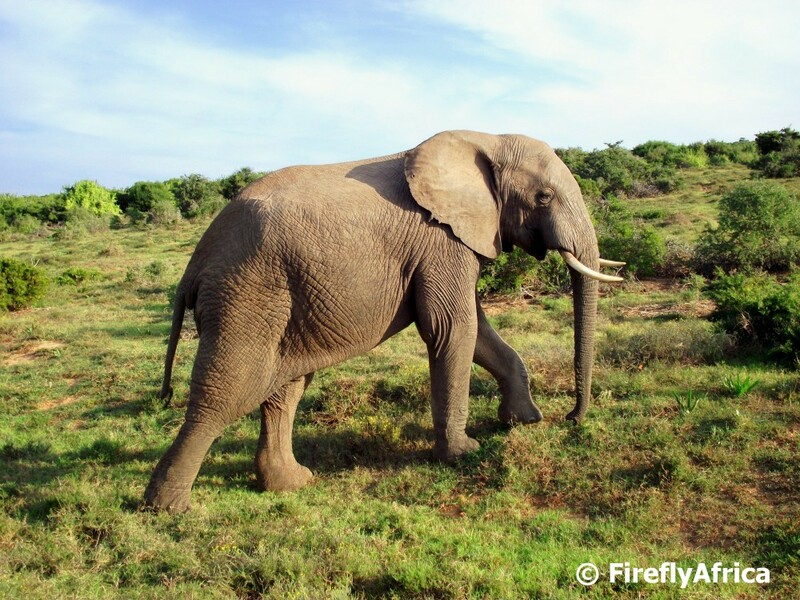 Easy, head out to Addo Elephant National Park and enjoy some of the best African Elephant sightings you will have anywhere in the world. The Swartkops River is the biggest river in Port Elizabeth (and here I'm not counting the Sundays River because technically its not in PE). Its so sad that the river has major pollution problems upstream from Uitenhage down towards the estauray. 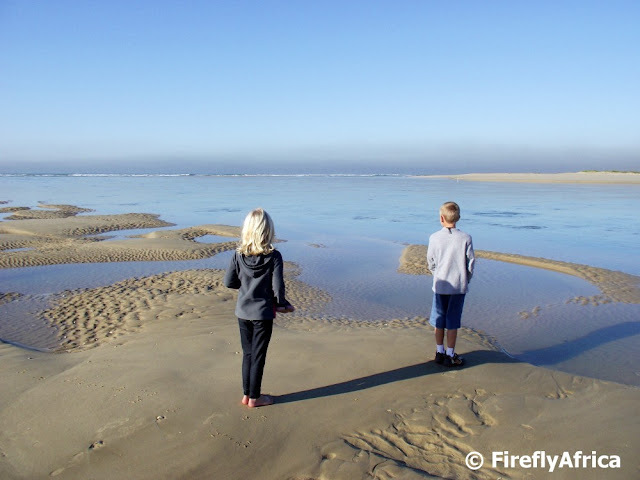 The kids got to see the river mouth for the first time the other day during our geocaching trip to Bluewater Bay. Chaos Boy just kept asking how deep it was and if he could walk through it. Drama Princess was a little bit more cautious as you can see in the picture and kept slightly back. Yesterday was Tata Nelson Mandela's 95th birthday. Five years ago the Nelson Mandela Foundation decided to declare his birthday Mandela Day and asked people to give 67 minutes of their time to help those less fortunate than them. The 67 minutes represent the 67 years that Mandela spent in his pursuit of freedom for all in South Africa. 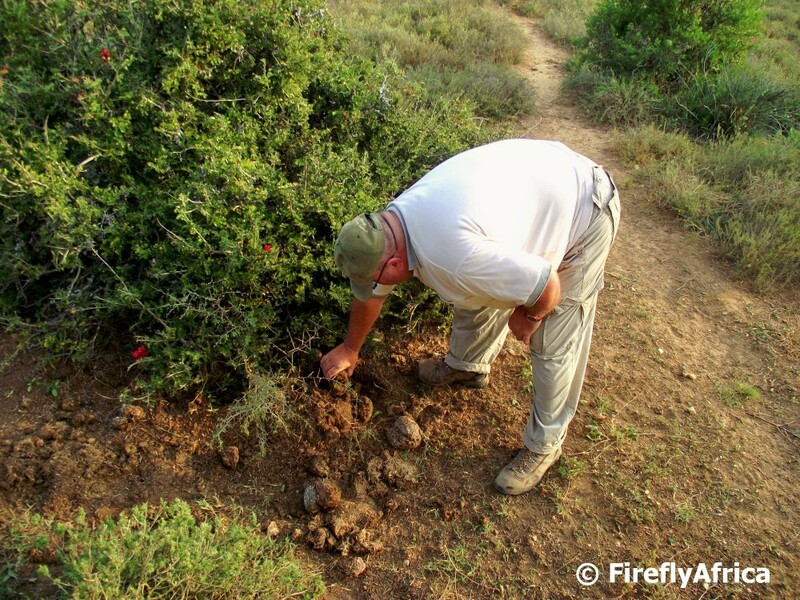 Some people spent their 67 minutes helping people while others assisted with animals and in my case, a natural spot. A little while ago photographer Luc Hosten, who runs an great Facebook page called Friends of Schoenmakerskop with some stunning Schoenies photos on it, took some photos of Lovemore Lake in Mount Pleasant. He pointed out that even though there is an abundance of bird life around, the dam and it's surroundings is very dirty and in desperate need of a clean-up. 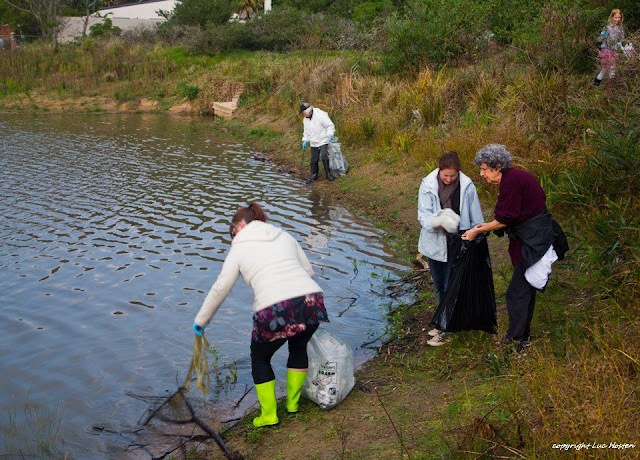 The guys from Coastal Clean-up Port Elizabeth immediately came on board and along with Luc started to organise a clean-up as part of Mandela Day. I couldn't join my colleagues for our project at work so decided to join the afternoon clean-up, taking Chaos Boy along to do his bit as well. 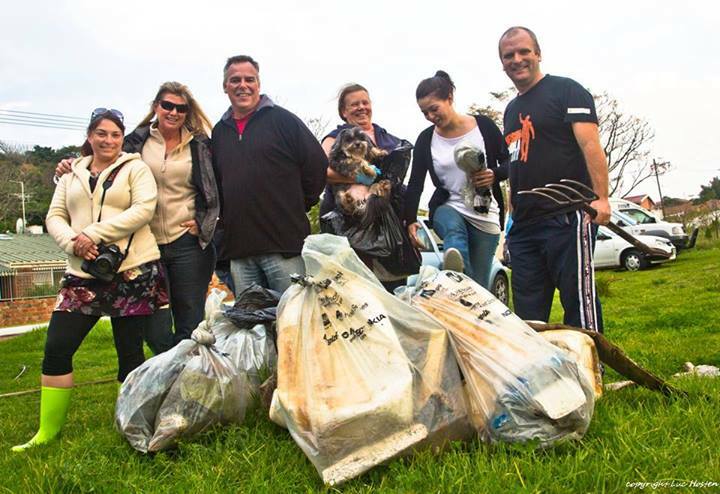 Here a couple of us pose with some of the garbage (note, some because if it was all you wouldn't be able to see us) afterwards. Yours truly being Lovemore Lake's King Neptune with the fork on the right. Credit and thanks to Luc Hosten for allowing me to nick a couple of his pictures for this post. I didn't want to drag my camera along seeing that we were going to get down and dirty. 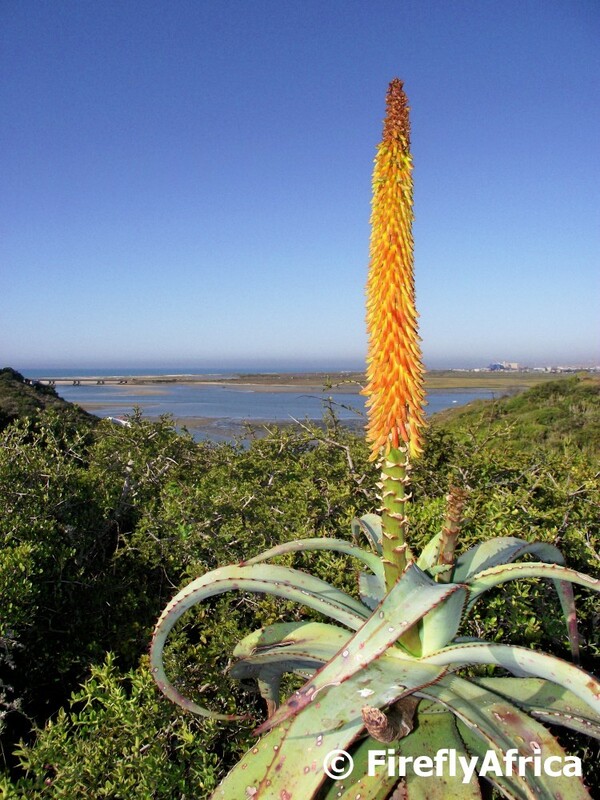 One of my favourite natural things about winter is the fact that it's when the aloes bloom. And if you can add to it a beautiful view, like this one of the Swartkops River and the ocean from the Aloe Reserve in Bluewater Bay, then even better. Today is also Tata Nelson Mandela's 95th birthday. Happy birthday Madiba! 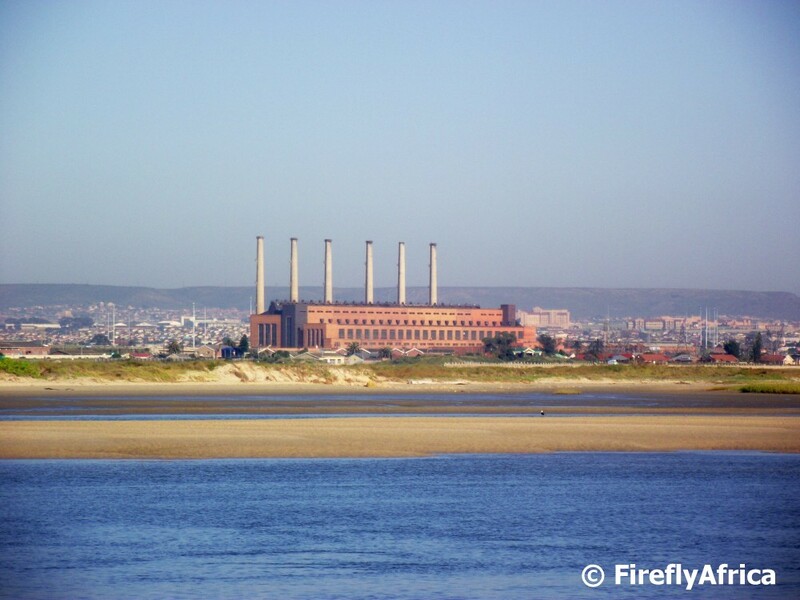 The Swartkops Power Station next to the Swartkops River is one of those landmarks that has become part of the city scape over the years yet I don't think a lot of people know much about it. So in case you don't know its story, here goes. The provision of electricity in Port Elizabeth begun in 1906 with the establishment of the Electricity Works. This supplied fifteen private consumers and thirty street lamps with electricity. 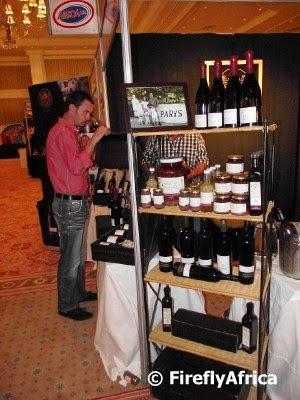 As industry in the area grew and the volume of exports from the Karoo and Uitenhage areas increased, so Port Elizabeth found itself battling to cope. Its distance from the Eskom network and the load centres in the north suggested to the Council that they should construct their own power station. Permission for this was granted and the Mount Road Power Station was in operation by 1925. The demand for electricity grew even more rapidly. In the latter part of the 1940s, the Port Elizabeth Municipality turned to Eskom for assistance and by 1949 it was decided that Eskom would establish a power station in the area to assist the municipal supply. The plans were that the power station would be built in the Swartkops area of Port Elizabeth, drawing its water supply from the river of the same name. Although Eskom built the power station, the Port Elizabeth Municipality offered to purchase it making Swartkops the only time Eskom has ever sold one of its power stations. The Swartkops Power Station commenced operation on Saturday, 1 May 1954 with the Mount Road Power Station kept available until November just in case something went wrong in the early stages. By the mid-1980s Eskom had more than enough power available to adequately service the whole country. Due to South Africa's political isolation the economic growth slowed and consequently Swartkops was deemed to be unnecessary and taken out of regular operation in 1986. By 1995 Swartkops was called back to service with the operation helping the city to limit its demand on Eskom. The following year however, saw Eskom offered the Municipality a tariff structure that made the power station, by now 42 years old, uneconomical. Today the buildings stands empty after being sold to a private company by the municipality for less than R4-million and who, "within weeks" sold off the turbines for a profit of more than R30-million, according to well-placed sources within the municipality. There are no immediate plans for the station as far as I can gather and how long it will still form part of the PE landscape one can only guess. Ranger Ryan is the guy you want on your vehicle when doing one of the Addo Elephant National Park's scheduled game drives. He is knowledgeable and entertaining and there isn't many questions he can't answer. A ranger superhero of some sorts (not to be confused with the Power Rangers). I posted about him before and found another picture I took of him, this time explaining to the group about a black rhino dung midden. In 1942 during the Second World War a set of harbour defences was put up around Port Elizabeth to keep a constant lookout for approaching ships, submarines and planes. 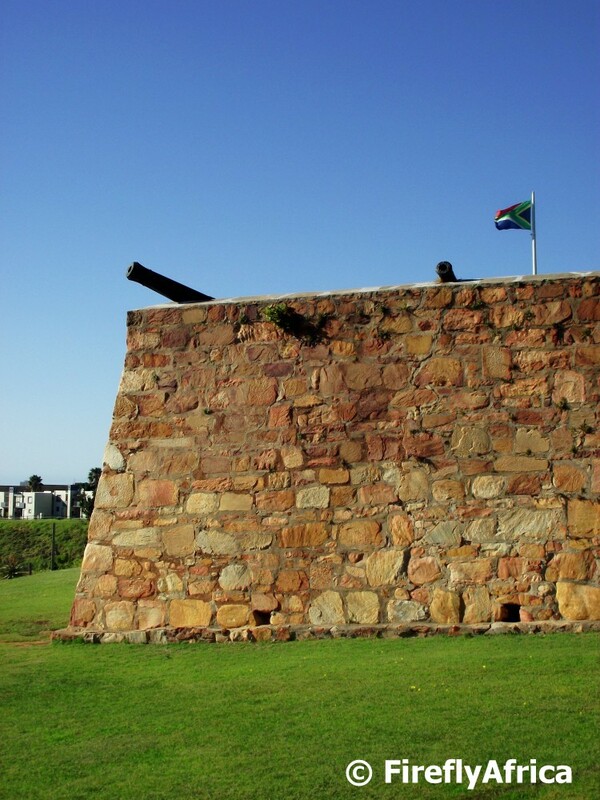 The defences consisted of Algoa Battery in Humewood, the Battery Observation Post on Brookes Hill and three Fortress Observation Posts at Amsterdam Hoek (Bluewater Bay), Seahill (Cape Recife) and Schoenmakerskop. I've been to the FOP's at Cape Recife and Schoemakerskop before and have decided that I want to check them all out even if its only to say that I've been there. The next one on my list was the FOP at Bluewater Bay which is still in good condition. Pity I couldn't get on top of the FOP to see the view out to sea. Something every photography enthusiast wants to see. Their child taking an interest in the hobby. I wanted to snap a couple of pictures of the Swartkops River and Amsterdamhoek's houses and rested my camera on the little wall next to the river. When I got up I noticed Drama Princess doing the same. Warms a father's heart. Bluewater Bay Beach stretching away towards the Coega Harbour hidden somewhere in the haze on the horizon. 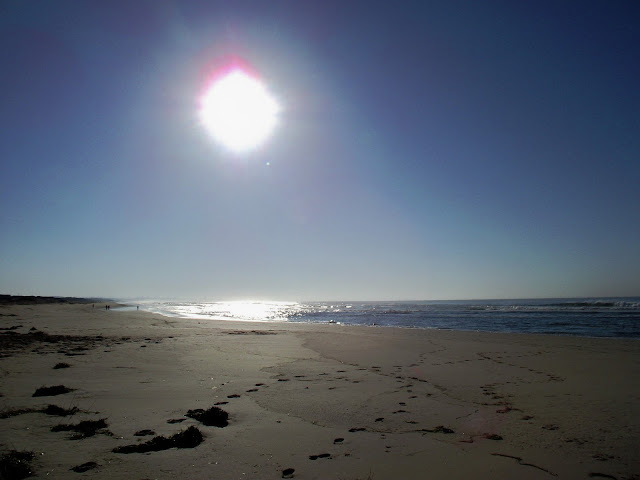 I made a quick stop to snap a picture or two while on my way elsewhere but have to make a plan to return some time soon for a walk along the beach. The beach is great for land based whale watching as the whales are often spotted not very far behind the surf line. I don't think I've ever been to Redhouse village on the Swartkops River so once again geocaching has taken me somewhere I've never been before. Although its referred to as a village, Redhouse really is only a small residential area of Port Elizabeth. 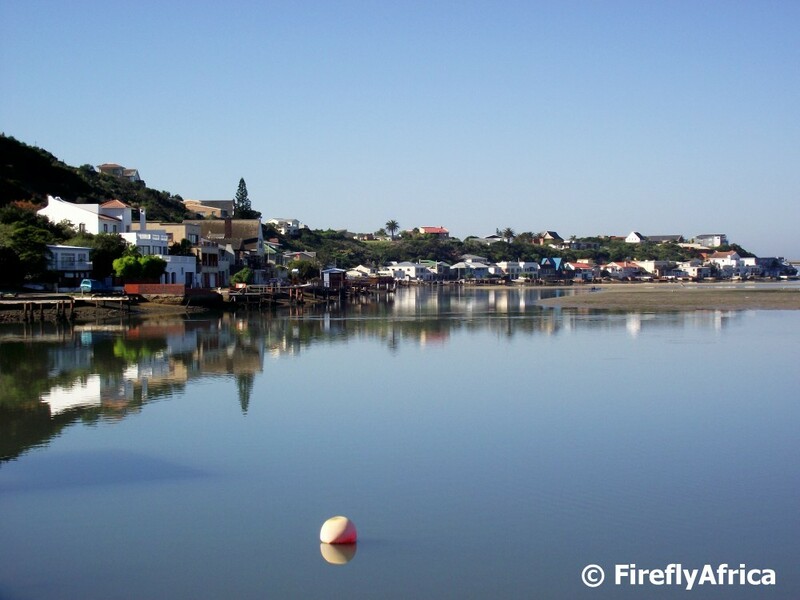 The Zwartkops Rowing Club was started in the village in 1873 and is the last remaining rowing club in Port Elizabeth. Taking a walk along the tow path next to the river I found this on one of the walkways down to a jetty. "It is here with the spirit of the wind that I will find my soul." I have previously posted pictures of two of the 2010 Arts and Teaching Legacy Project art pieces ( "Post 1994 period until the present time" and "An united and cohesive people marching") at Sydneham Primary School across the road from the Nelson Mandela Bay Stadium. 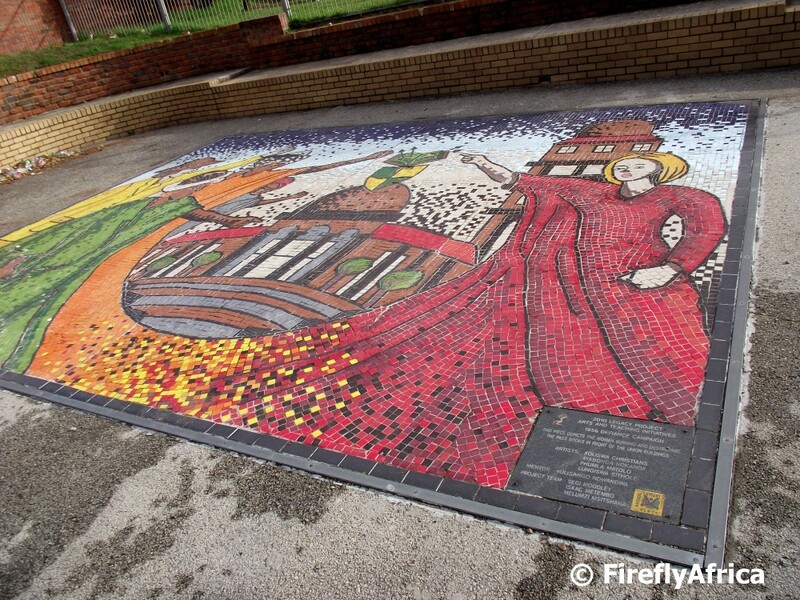 My favorite piece is a mosaic called "1956 Defiance Campaign" depicting women burning and destroying the pass books in front of the Union Buildings in Pretoria. Its a pity that this piece isn't somewhere more public where both locals and visitors can see it because it truly is a stunning piece. I haven't really posted a lot of photos from the Bluewater Bay area and the reason is simply that I live on the other side of town and don't get to Bluewater Bay that often. I took the week off to spend some time with the KidZ during the school holiday and decided to head out there for some Geocaching. 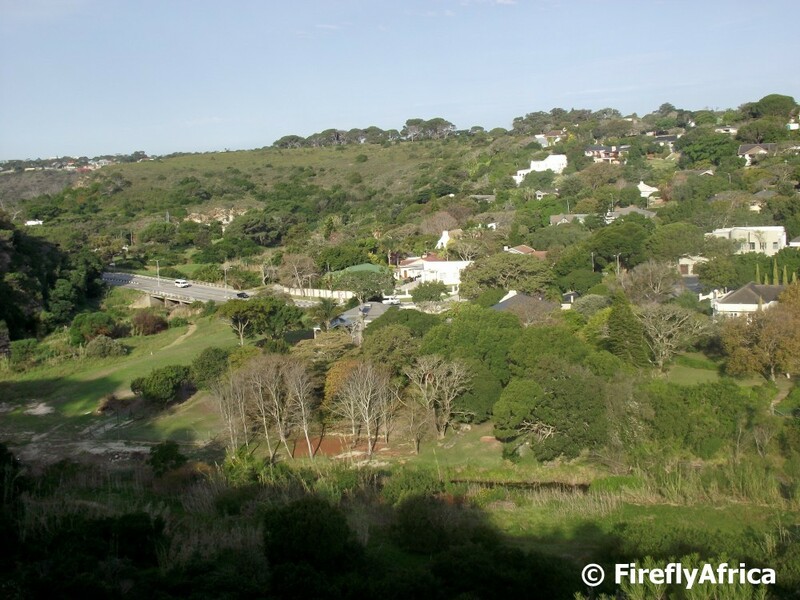 Tippers Creek Road links Bluewater Bay at the top with Amsterdamhoek next to the Swartkops River. There's also a set of steps, just over 100 steps to be exact *huff* *puff*, linking the two areas. Looking down from the top you can see Tippers Creek Road and the Swartkops Estuary stretching out in the background. I took Chaos Boy for a morning of geocaching along Marine Drive the other day, picking up about 15 caches along the Wildside. It meant that we stopped quite often to go boulder hopping in search of caches. 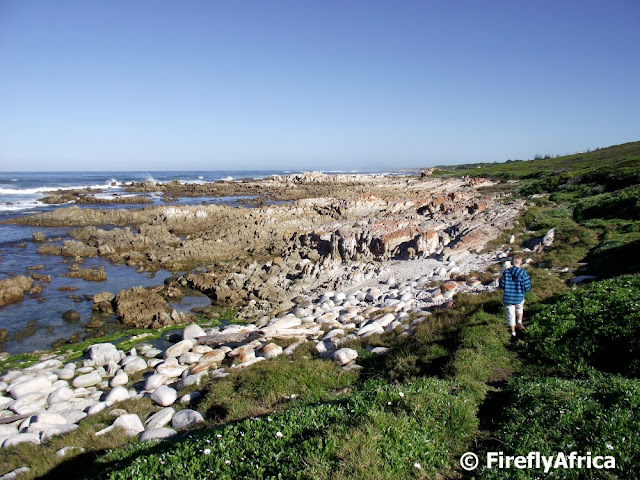 The Wildside between Cape Recife and Schoenmakerskop (and further) is a rugged coastline and when the south-westerly wind starts pumping it truly becomes wild out there. But when there is no wind its a stunning area to explore with many little trails, coves and rockpools to enjoy. 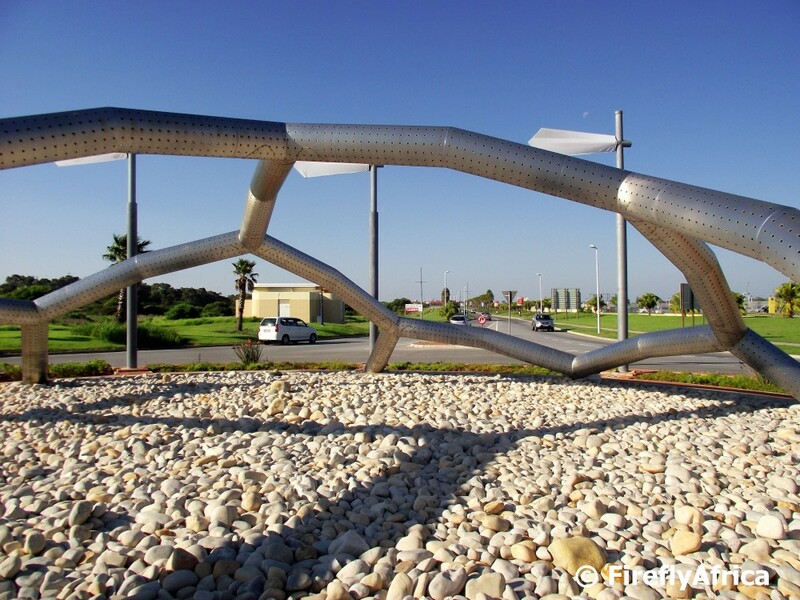 When the soccer ball structures on the traffic circles outside the Port Elizabeth Airport were erected before the 2010 FIFA World Cup it made heads turn. 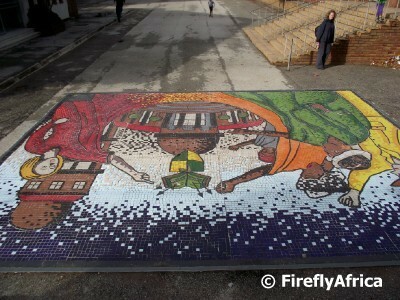 Its become a feature on the city's roads, welcoming visitors to the Friendly City and showing off our sporting heritage. I stopped at the structures the other day to snap a couple of pictures and wondered how many people who regularly drive past it still notice them. Just a pity the fades flags haven't been replaced. If it was my call I would put the South African flag on all of them. I wonder how many people know that Walmer used to be a town on its own before becoming part of Port Elizabeth. In 1815 the farm Welbedacht, covered an area just under 14 square miles, to the south west of Port Elizabeth was granted to AM Muller. When Muller died in 1845 his farm was inherited by his 8 sons who, true to form, could not decide on how to sub divide the property. As a result the farm was sold and the money was distributed to the heirs. 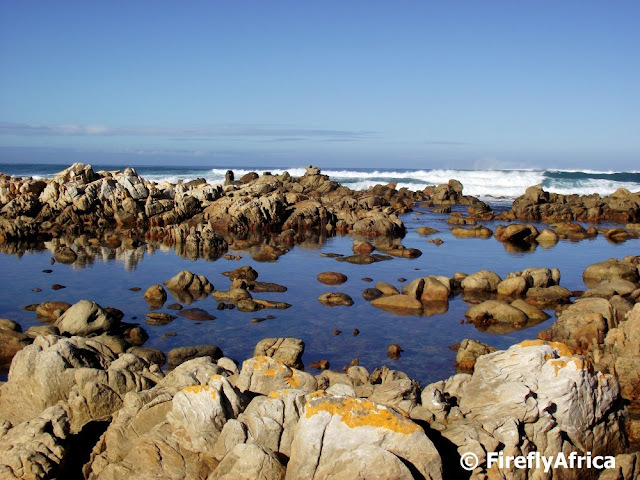 In 1855 the area was transferred to the municipality of Port Elizabeth and renamed Walmer in honour of the Duke of Wellington. The area was then laid out and on 8 March 1855 it was resolved to sell 400 plots by public auction. 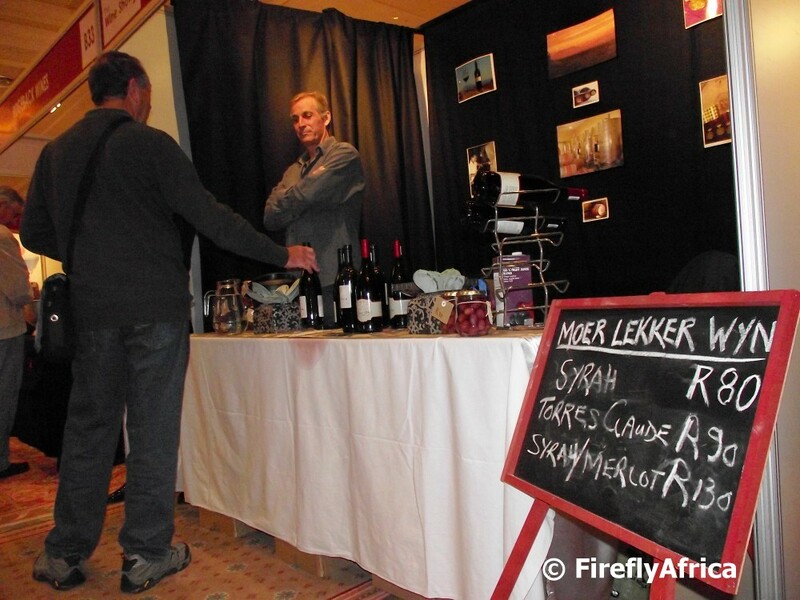 A number of stands were also reserved for the Dutch Reformed Church and the Anglican Church. The village plan included wide streets and a plentiful supply of water. By June 200 plots had been sold. On 22 April 1899, Walmer was awarded separate municipal status while its residential character, spacious residential plots and attractive dwellings attracted both families with young children and the elderly. 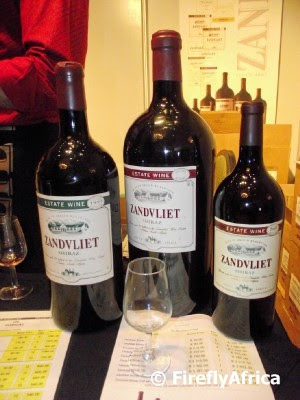 It was incorporated into the Port Elizabeth municipality in 1966. The section of Walmer in the picture, taken from the Mill Park side, is next to the Baakens Valley at the start of Target Kloof. 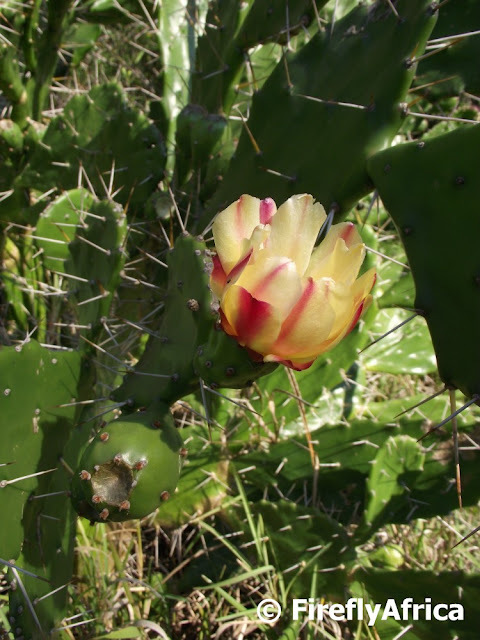 The prickly pear season is usually around January to March but I was surprised to find a prickly pear plant with a flower in the Baakens Valley the other day. Taking a close up photo I realised how my photography has stagnated lately. Why stagnated? Well, for one I can't remember when last I've taken any good macro pictures. I also used to always be on the lookout for nice compositions and specifically for something interesting to put in the foreground of my photos of something bigger in the back. I think I need some inspiration. 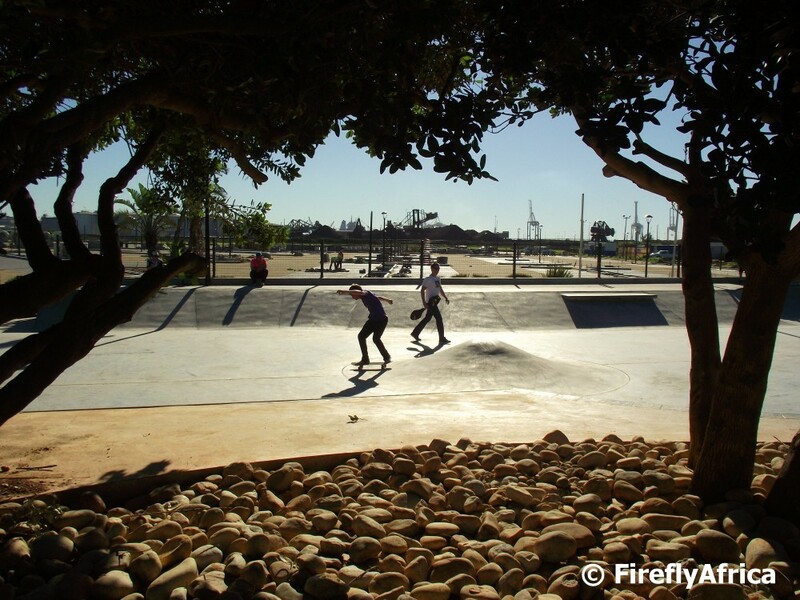 Going by its popularity with both big and small, the new skate park at Kings Beach seems to go down quite well with skaters of all sorts. Passing there the other day there were skate boards, a j-board, a BMX and somebody on in line skates trying out the new facility. 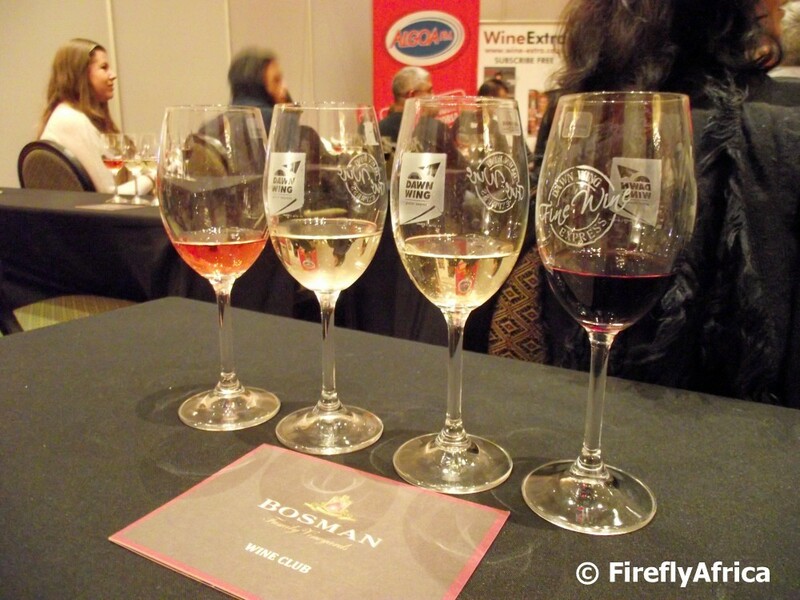 I'm not a huge wine drinker. Not that I don't want to but because I never really learned to drink wine. Don't get me wrong though. I enjoy a good wine as much as the next guy as long as it's something like a late harvest or a sweet Rosé. 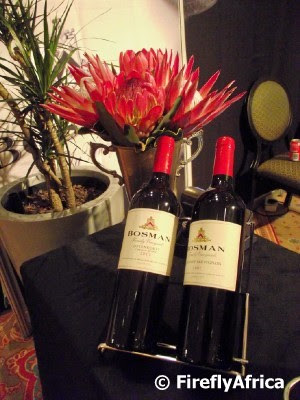 This past weekend The Wine Show Nelson Mandela Bay took place in the city for the fourth consecutive year and for the first time at the brand new Boardwalk Convention Centre. 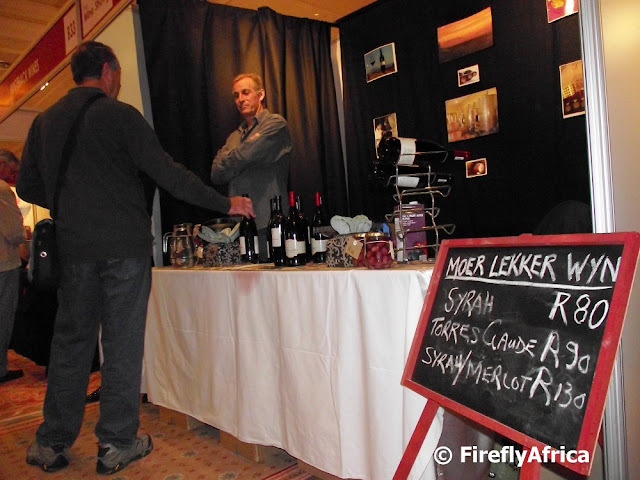 Some of South Africa's finest wine estates like Blaauwklippen Vineyards, Morgenster Estate, Gabrielskloof and Simonsig along with a number of smaller boutique wineries were represented and visitors could taste the wines on offer at every stall. 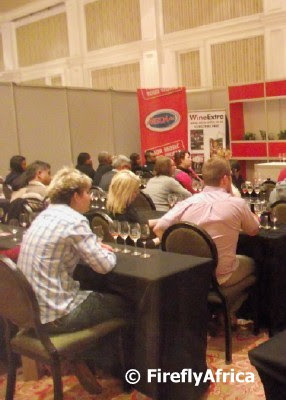 The show also offered Wine Extra Theatre sessions where visitors were taken through a wine tasting process by experts. I attended the show as guest of the organisers of the show and took the opportunity to chat to both the organisers as well as with some of the exhibitors. 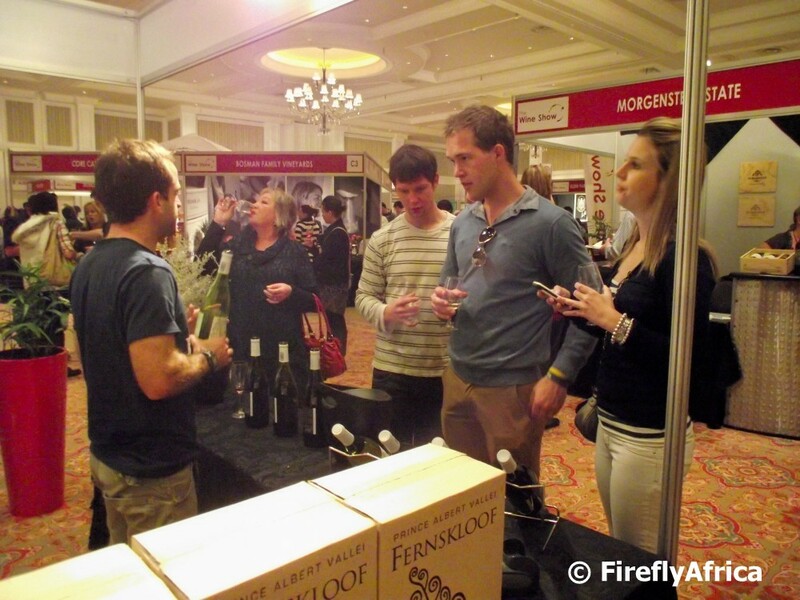 The overwealming response from them was that the show was a huge success and exceeded their expectations. One even said that for them the show was even better than the one in Johannesburg. The exhibitors were also over the moon about the facilities at the Boardwalk and everybody were very impressed that Port Elizabeth now has a world class centre like this. This all bodes well for future exhibitions and events at the Boardwalk and in the city. Here is a couple of snaps from the show. 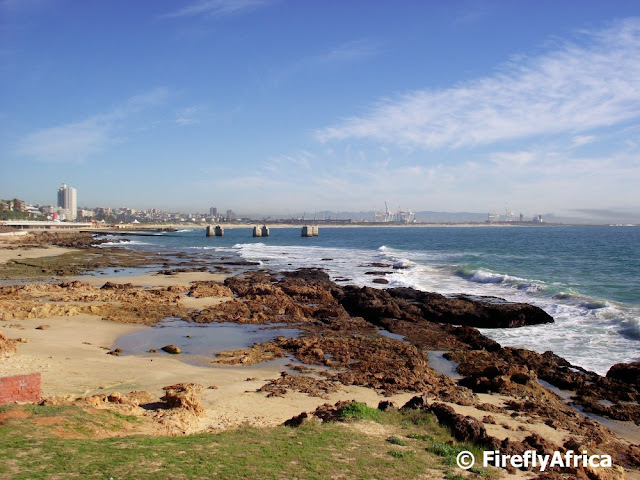 Standing next to Shark Rock Pier at Hobie Beach, this is the view towards Kings Beach and the harbour. We've had rain for the last couple of days but the sun's been sticking its head out from behind the clouds a little bit today. After all the rain we had last year, this year has been pretty dry so the rain is very welcome. 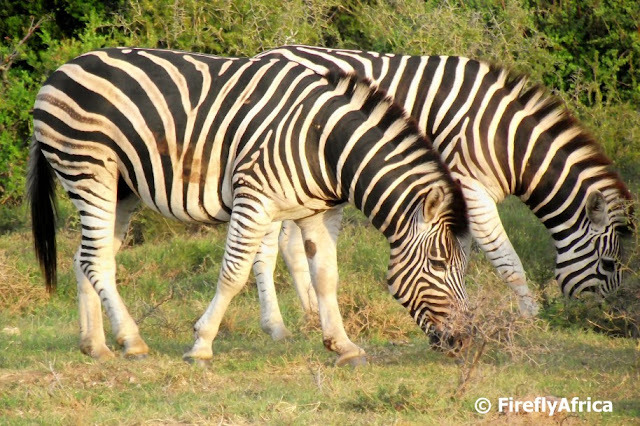 Some visitors to game reserves often get as excited about seeing something like a zebra than they are when seeing elephants or lions. Perhaps we as locals take these animals for granted as we see them often in game reserves and don't get as excited by them. I kinda lost what I was trying to say with this now other than seeing zebra is always exciting for me even if they aren't part of the Big 5. I found these two Burchell's Zebra grazing in the Addo Elephant National Park recently and wouldn't have taken the picture if they didn't interest me. As you may have noticed lately, I have developed a special fondness for the Baakens Valley. I've always had a bit of a soft spot for it, but since taking up geocaching I've had to venture into it a couple of times to look for caches and have taken my camera with on every occasion. 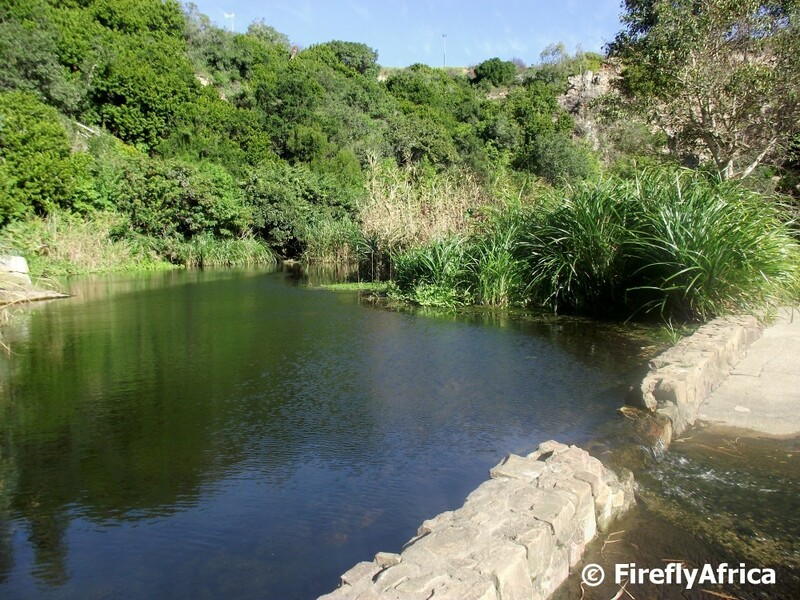 The spot in the photo is in Settlers Park at one of the places where you cross the river hopping from stone to stone. The river dams up a little bit behind a weir and forms this beautiful photo opportunity.